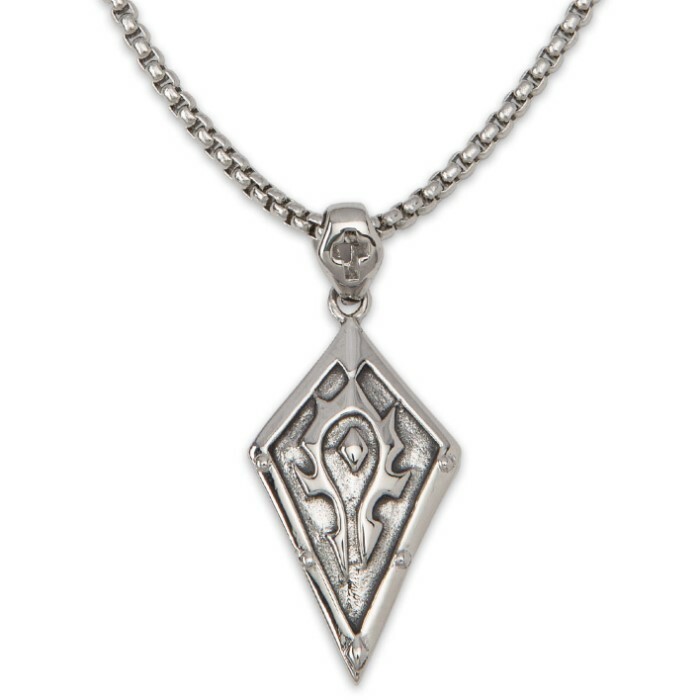 Diamond Shield with Celtic-Style Heraldic Flame Pendant on Classic Chain - Stainless Steel Necklace | BUDK.com - Knives & Swords At The Lowest Prices! 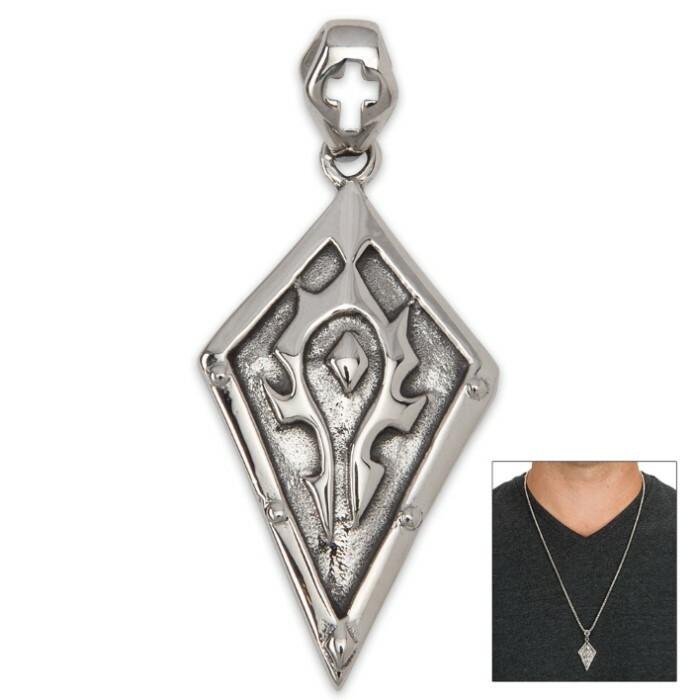 Great necklace and pendant. Very solid and nicely detailed. 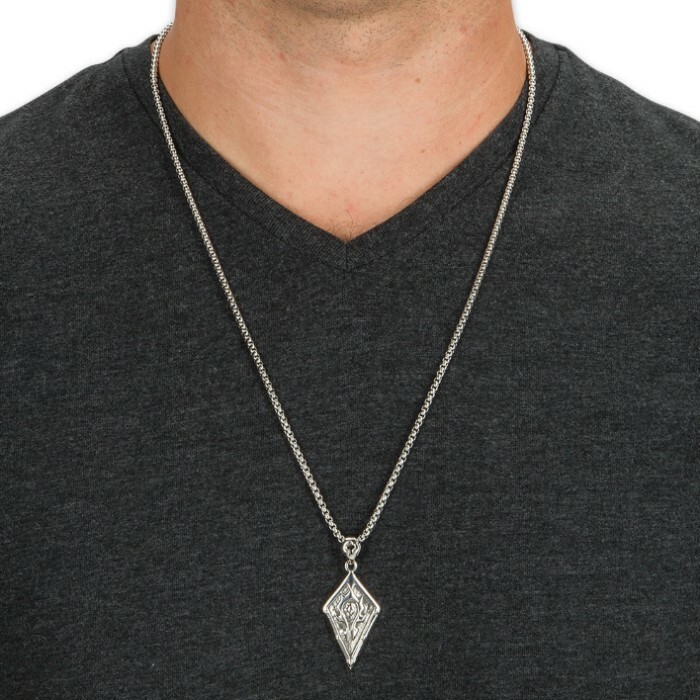 The chain is especially nice, more like a stainless steel rope. Awesome value!